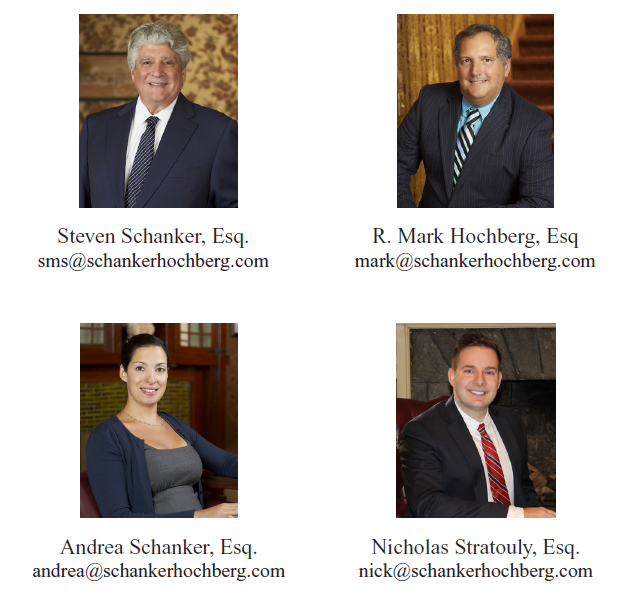 August 2016 Alert Letter - Schanker and Hochberg, P.C. The Internal Revenue Service recently proposed regulations that will adversely affect clients’ ability to substantially mitigate Estate Taxes. These proposed regulations seek to curtail the use of “valuation discounts” for family operated businesses and for Family Limited Partnerships/Limited Liability Companies holding investments. Although the proposed regulations are not expected to be finalized until the end of 2016, time is really ‘of the essence’ to utilize this planning technique or forever be foreclosed. A “valuation discount” occurs when a limited partnership interest in a Family Limited Partnership or non-managing member interest in a Limited Liability Company is gifted. The Family Limited Partnership or Limited Liability Company can own income producing property, an investment portfolio, or an actively family operated business. For example, Steve and Carol own two apartment buildings in Manhattan. The buildings are each owned by a Limited Liability Company (LLC). Steve and Carol are the Managing Members and have all the control and equity. Because of the equity, their taxable estate far exceeds the Estate Tax thresholds ($5,450,000 per person is the Federal Exemption and $4,187,500 is the New York State Exclusion). Carol and Steve gift their daughters 99% of the non-Managing Member interests in each LLC. For purposes of their lifetime gift tax exemption, they can enjoy a “valuation discount” on the value of the gift they make to their daughters. If 99% is worth $4,950,000 then the actual value of the gift, after applying the ‘valuation discounts’ is only $3,217,500 (assuming we can take a 35% discount). Why the discounts? The value of the gift is ‘worth less’ because what is being gifted is really a minority interest and the non-managing members have no ability to sell, borrow against, or assign their interests in the LLC. The effect of this planning is that it allows clients to freeze the discounted value of the asset at the time of the gift, thus removing all future appreciation from the taxable estate. It also allows clients to maximize the use of their lifetime gift tax exemption as well as the ultimate Estate Tax Exemption at time of death. The IRS proposed regulations substantially restricts the use of such discounts. We will not know what the final rules are until they are, in fact, finalized. However, now is the time to seriously consider this planning. If you effectuate the planning and make the transfers prior to the final regulations, your planning will not be disregarded. Please call to schedule an initial consultation to consider this widely used and invaluable Estate Planning strategy before it is no longer available.